SPRINGFIELD—State Representative Dan Ugaste (R-Geneva) stood alongside colleagues in the House of Representatives this morning urging lawmakers to authorize a private sector “deep dive” into state agency spending so that opportunities for cost savings and greater efficiencies can be identified. Steve Reick (R-Woodstock), is the Chief Sponsor of HJR06 and HB275, a bipartisan attempt to provide optimal government services in this state as efficiently as possible. 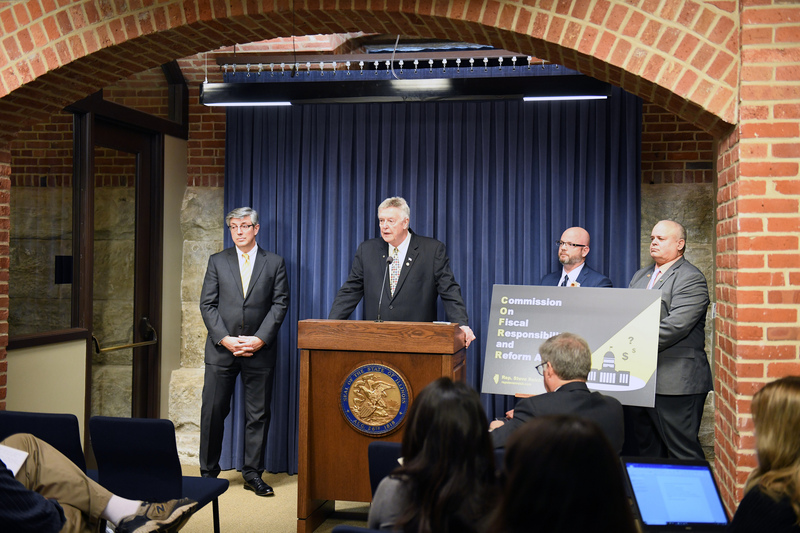 Representative Ugaste is a Chief Co-Sponsor of the legislation, along with State Representatives Dan Swanson (R-Alpha), Jeff Keicher (R-Sycamore), and Amy Grant (R-Wheaton).